Open Events provide safe opportunities for elementary age Chester children to explore and have fun while Chester County high school students can try out volunteering with low barriers to entry. These events help build trust in the Chester community that we are a faithful and dependable non-profit organization that has pure motives and is here for the long-haul. Camp Lionheart brings 104 Chester 2nd – 5th graders to NorthBay, a gorgeous 5-day/4-night camp along the NorthEast River in North East, MD. The children are put in cabins in groups of 8, along with 3 high school Counselors, and 1 Adult Chaperone. 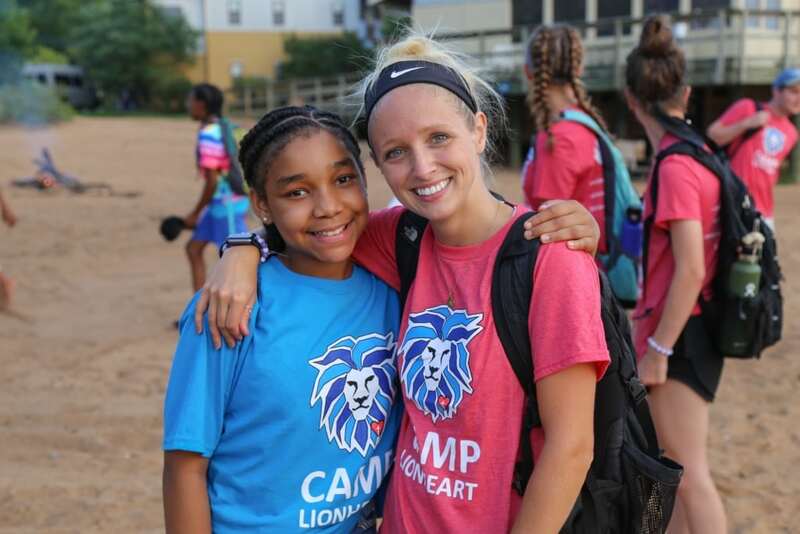 Together the children enjoy activities such as zip lining, a 3-man adventure swing, hiking, swimming, kayaking, seining, and a camp fire every night on the beach of the river. 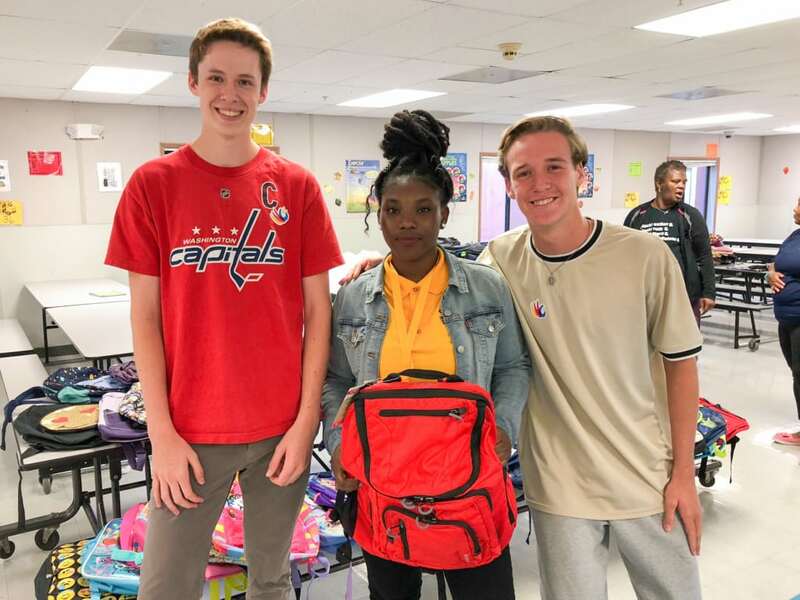 Two high school students lead this effort every July. The goal is to collect back packs and school supplies from the community. After the collection, the students evenly divide the supplies and load them into the back packs. They are then brought to Chester and we participate in the Chester Community Fair, where these abundant back bags are distributed to Chester students. Four high school students lead this effort in the fall. The goal is to bring everything necessary to hold a carnival to Chester for a day of fun and entertainment, celebrating the fall season. 75 high school students volunteer to make this day possible. 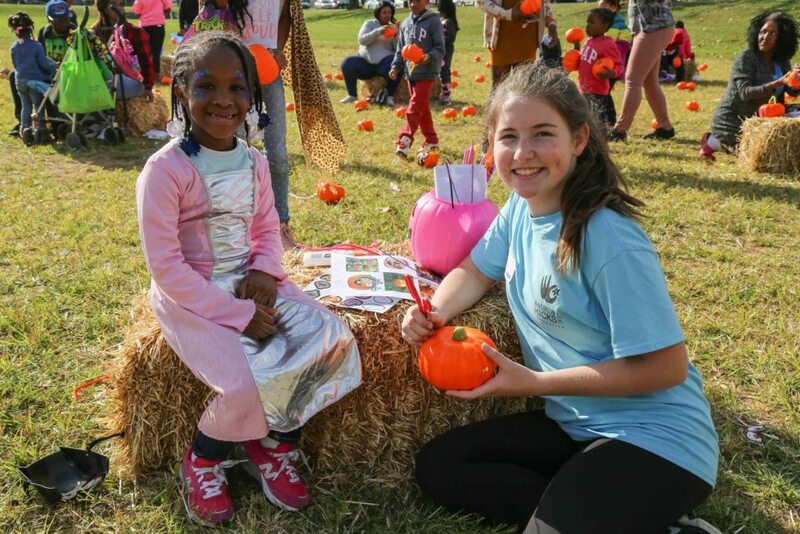 Last year 1,200 Chester children participated in this free event which included: face painting, pumpkin painting, carnival games, inflatables, several live bands, a book give-away, as well as lots of free food and beverages. is held at Ice Line in West Chester. The event was created to honor Andrew’s passion for ice hockey and to show support to the ice hockey community, but is also a fund-raiser for the Andrew L. Hicks, Jr. Foundation. 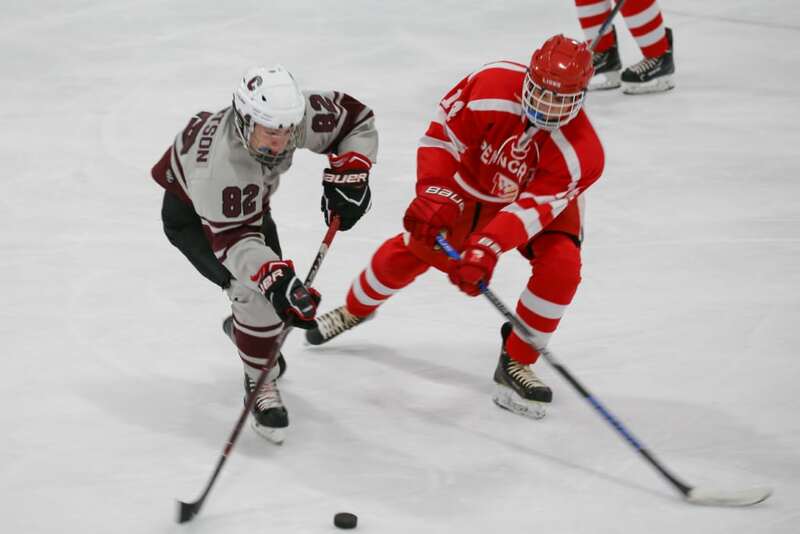 Eight area high school hockey teams participate in this competitive, season kick-off tournament. The tournament is as much a battle to win bragging rights as it is to win the beautiful Hicksie Cup. 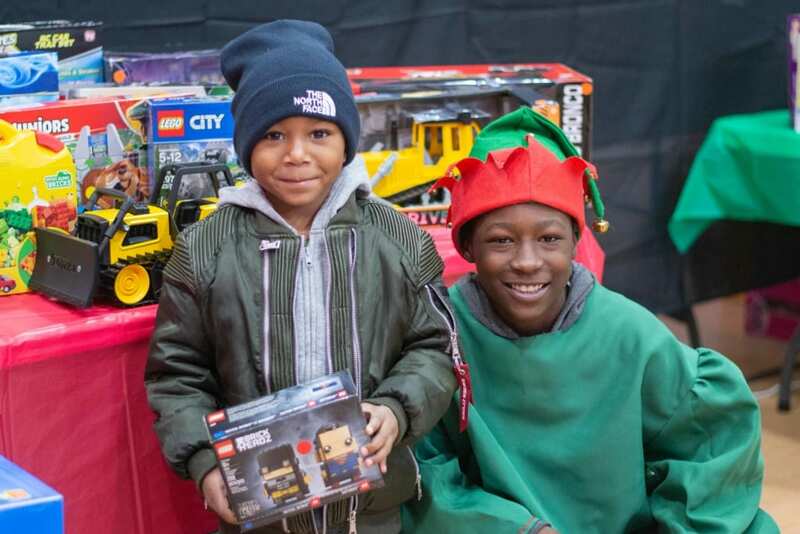 Each fall, we collect new donated toys and bring them to Chester, PA for a special, invitation-only Toy Store. 400 selected children, receive a special invite to come and “shop” for their Christmas presents. Each child is matched up with a personal shopper and the pair goes through the Toy Store together. After choosing Christmas presents for themselves, the children then get to go shop for their parents or loved one while their own gifts are being wrapped. Two high school students lead this effort in November. 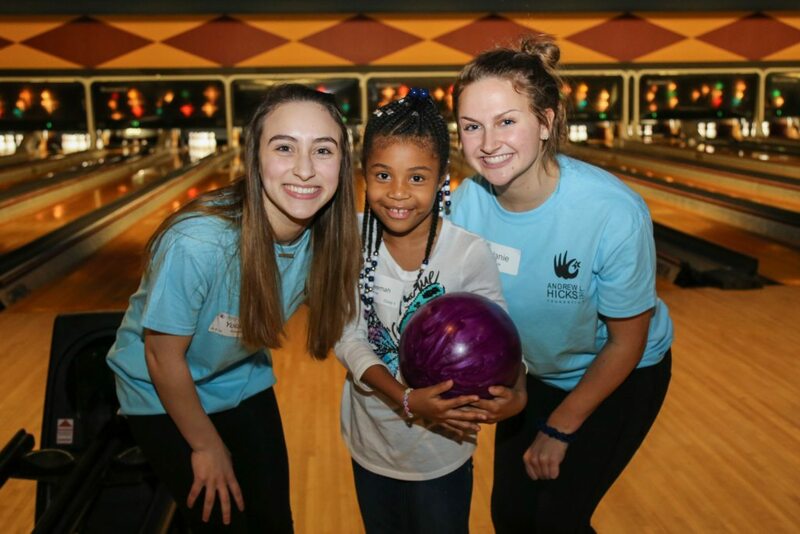 The goal is to bring 120 Chester 3rd – 5th graders to The Palace Bowling and Entertainment Center in Downingtown to enjoy an afternoon of bowling and dancing with high school student volunteers. Each of the 40 lanes usually is led with 2 high school students and 3 Chester children. The kids really enjoy each other’s company and have a great time bowling, dancing, and eating pizza and cake. Two Henderson ice hockey players lead this event every spring. 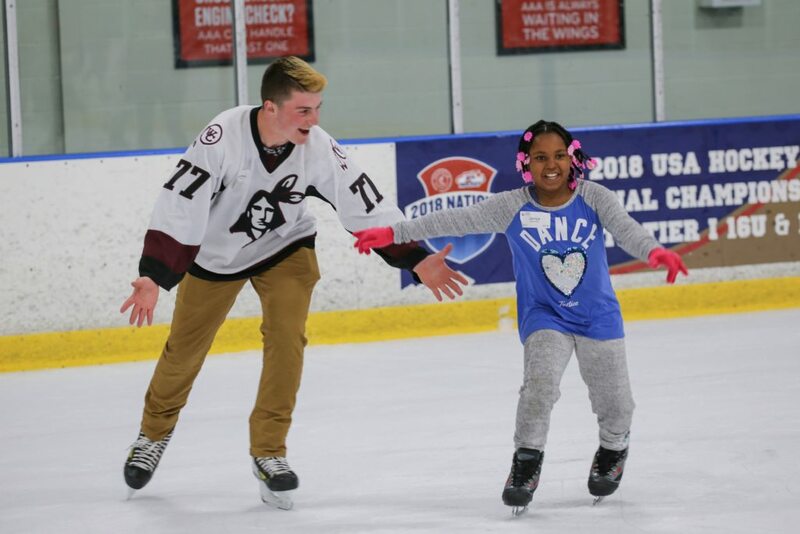 The goal is to bring 120 Chester 3rd – 5th graders to Ice Line in West Chester and to have 120 Chester County high school ice hockey players teach them how to ice skate. The skaters from 9 different Chester County high schools are paired with the Chester children for a few hours and everyone has a ball, skating and enjoying dinner and dessert together!